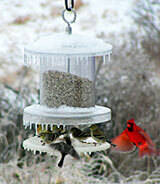 As a dark-eyed junco takes wing, it spreads its tail, revealing the two white outer feathers. Like waving a flag. Likely as not, the rest of the flock will follow. That guy's going… could be a good reason… maybe I better go too. 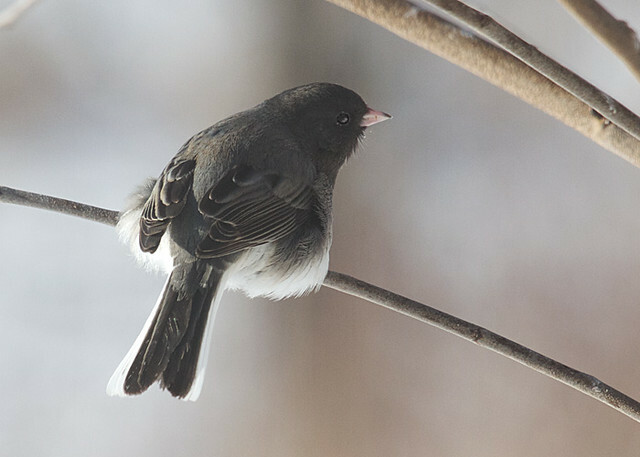 When the juncos are feeding peacefully on the ground, you barely see the white tail feathers, which are mostly tucked below the rest of the tail. I caught this fellow just before he took off, but he was already starting to display his flags.